Standard sized lock case for new installation or retro fit. Quick reverse latch bolt to suit door handing. 19mm return to door safety lever handle. Universal fit - no handing requirements. Bolt through fixings with anti tamper external heads. External status indicator and emergency release. 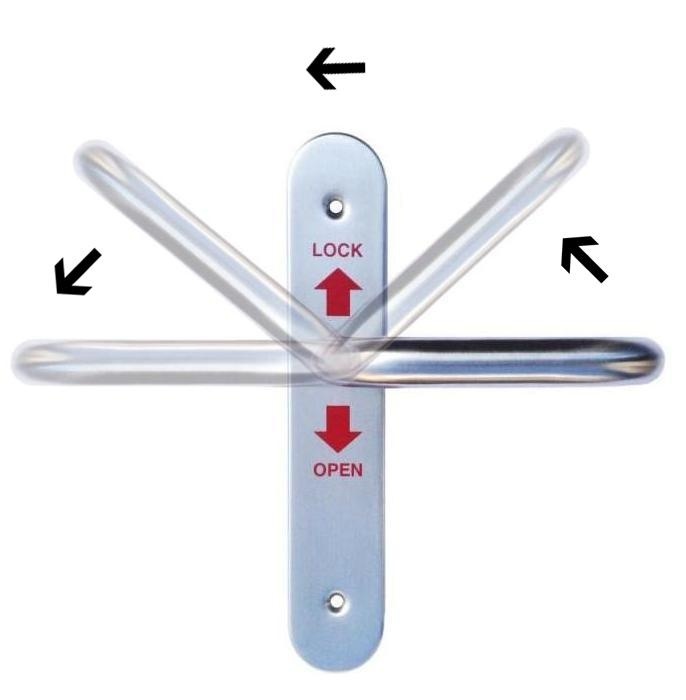 The lock is opened from outside by NKS key turned in either direction. From the inside the lever handle is pushed up to lock the door. This shows red on the external status indicator and prevents key operation from the outside although emergency access is available via the coin release. 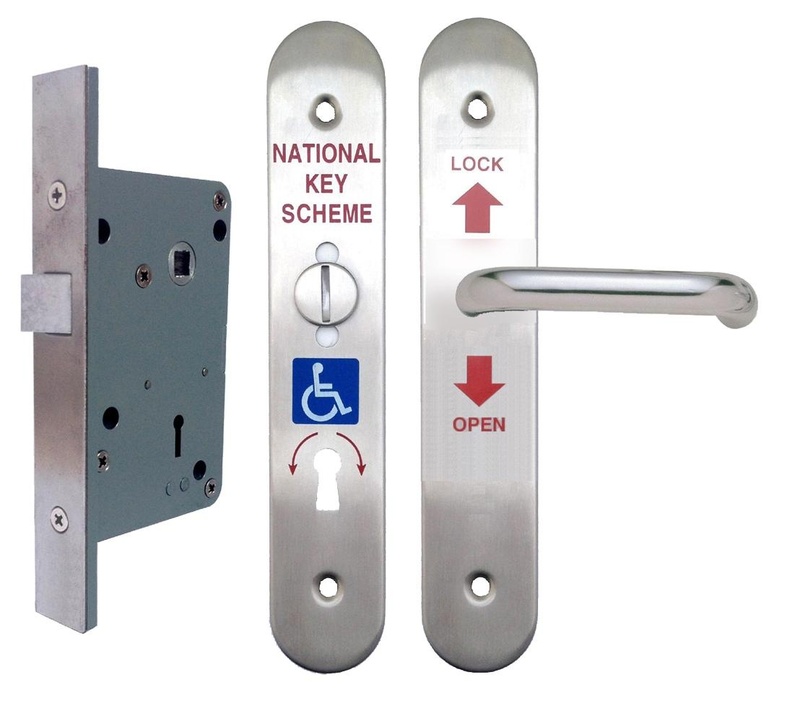 Pushing the internal lever handle down unlocks and opens the door for exit. Once the door is closed again it will automatically lock. Each lockset include lock case, furniture, striker plate, all fixing screws and bolts, installation key and fitting instructions.